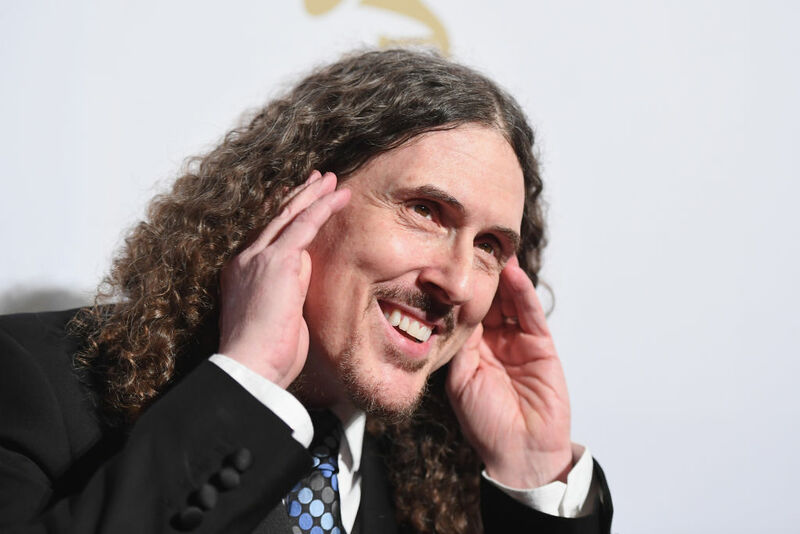 “Weird Al” Yankovic gets a star on the Hollywood Walk of Fame today. The installation results, in large part, from a 15-year campaign by the musician’s devoted fans to crowdsource the support and funds to make it happen. It takes more than celebrity status and a list of hits to get a star on the Hollywood Walk of Fame. It also takes a formal nomination filing, an endorsement from the Chamber of Commerce, and about $40,000. In the majority of cases, the money and nomination will come from some kind of corporation with an interest in the entertainer’s career, like a record label or movie studio. But for “Weird Al” Yankovic, it all came from the fans. One particularly enthusiastic fan, Dave Rossi, started the project in 2003. The New Jersey resident, who has attended upwards of 160 Weird Al concerts, was inspired by a visit he made to the Walk of Fame during a visit to L.A., which he made to appear on a VH1 reality show to discuss his extensive collection of Weird Al tattoos. With the permission, if not active participation, of Yankovic and his manager, Rossi and a friend built a website and began raising money for the nomination process by selling tee shirts and bumper stickers. In 2005, armed with the $15,000 a star cost at that time, they submitted their first nomination of the artist to the Hollywood Chamber of Commerce. Since 1962, the Hollywood Chamber of Commerce has had the authority to select which of the hundreds of entertainers nominated every year will actually get stars. There are minimum standards–the artist must have been in the industry at least five years, have a record of achievement as well as charitable contribution to society, and must be able to guarantee that they will attend the formal installation ceremony if they are chosen. Beyond that, how, exactly, they determine who is in or out in any given year is a matter shrouded in some degree of secrecy. Rossi’s 2005 application was rejected, as were his subsequent ones, for a decade. Benefit comedy shows were staged in 2006 and 2011, fan donations kept coming in, and eventually the fund was up to $30,000, keeping up with the increases in the fee a star must be able to pay to have the star installed and maintained. But, after 11 rejections by the Chamber of Commerce, Rossi finally started telling his fellow Al-ophiles to give up and stop sending in money towards a cause that looked like it might never happen. By the time the news came in, the fee required had jumped again, to $40,000, meaning the fund was now $10,000 short. On the news that it was actually happening donations poured out, and they were able to fully fan-fund the star by June 2018. Yankovic’s star will be located at 6914 Hollywood Boulevard–not too far from the inspiration for some of his most iconic parody songs, Michael Jackson, who has the star at 6927 Hollywood Boulevard.